Being physically active and in shape has always been a part of my life. Building and maintaining a beautifully shaped and well-toned body requires dedication to a regimen of cardiovascular exercise and weight training; along with compliance to a healthy diet. I began to find my workouts not only become boring and mundane, but I found myself having to work harder in order to achieve the same goals. It was becoming tougher to stay in shape and I wasn’t progressing in my training. For the first time, I decided to seek out a personal trainer. Given I had always trained myself with good results my criteria for a trainer was strict and the shoes looked like they were going to be very difficult to fill! I was very surprised and pleased when I found Jason. Jason takes pride in every client he personally trains. He’s fully vested in your success and pushes even the most avid and knowledgeable fitness buff to levels they thought were unattainable. His many years of experience and vast knowledge enables him to put together a personalized program. He balances the right amount of weight training, cardio exercise, supplement use and diet; tailored to meet the needs of each individual client. My workouts with Jason have allowed me to maintain my physique by working out smarter and more effectively; every rep counts. No time or energy is wasted. Even if you’re a serious athlete or long term fitness advocate who has trained on their own for years, a workout with Jason will most definitely be challenging, yet rewarding. My results are no longer just good, they’re great…..thanks Jason!! Jason Kozma is not for everyone. My experience with Jason is that he is all about results, and those results are achieved in direct relation to a client’s level of commitment. Jason utilizes both state-of-the-art training techniques as well as equally effective dietary guidelines, with both disciplines required for total body fitness and good health. Following an illness and major surgery in January of ’12, I went from 178 lbs. to 149 lbs.. and for 6 mo’s tried everything I could think of to put back muscle and weight, with little result. Then I started personal training with Jason, who radically changed my diet, with all healthy foods and supplements devoid of side effects, along with a strenuous 3-days per week training regimen, and I’m back up to 164 lbs. (and still gaining) with muscle accounting for all the added weight. BTW, I’m 77. 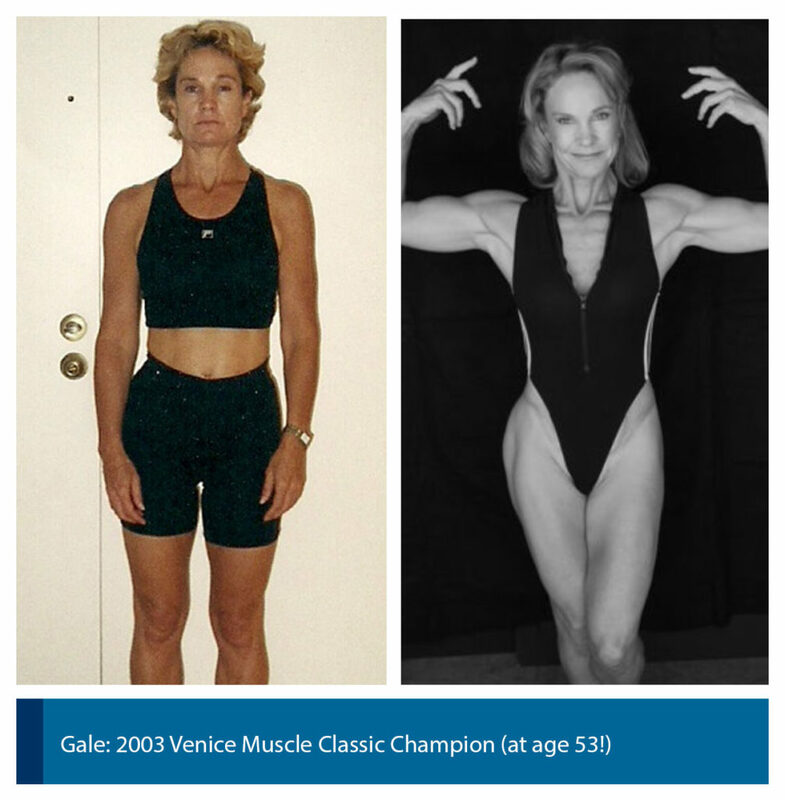 With total commitment and the right trainer, it is NEVER too late!! Dear Jason, When my neighbor Paulette recommended you as her personal trainer, I was turned off by my previous experience with a trainer I had in the recent past. She had thin legs and had me do her own workout consisting of thigh building exercises which were only further thickening my legs. Your no – nonsense approach to improving my body was just what I needed. No more bulking exercises, but a unique workout designed to suit my body. My husband has been one of your strongest supporters, because he has seen the way you have sculpted my body for the better. Jason, you are an artist when it comes to sculpting bodies, both male and female. You customize the workout to the clients needs and manage to keep it fun and interesting. I would highly recommend you to anyone who is serious about starting a workout program where results are inevitable. Jason is the best trainer I have ever worked with. He knows how to get me in top shape without bulking me up, and he knows exactly how to pinpoint specific areas. 4 years living in hotels, working way too hard and working out way too little had resulted in what I thought was an extra 10 – 15 pounds that I just couldn’t get rid of no matter what I tried. When someone enquired when I was due I realized it was time to really do something about it. Jason Kozma was the answer. In 8 weeks Jason gave me a better body than I had ever had before. 10 – 15 pounds turned out to be 25 pounds and the six pack I had only ever fantasized about became a reality. Jason’s combination of weight training and his amazing diet (he actually had me eating 3 times as much as usual and dropping pounds by the day) is the quickest, healthiest way I know of to guarantee the body you’ve always wanted. The effects of training with Jason and the new body that came with it have enhanced every aspect of my life…I can’t recommend him highly enough. Not to mention he has you laughing the whole way through it. Believe it or not, this photo is of me at 50! I have been training and consulting with Jason for the last 10 years. I’m in better shape, stronger, healthier, and I look better than I did at 25! Jason always has an answer to my questions and keeps my workout schedule innovative and fun. Jason really knows his stuff! I always look forward to my training sessions with Jason. No matter how I feel when I enter the gym, I always have a great workout and leave feeling great. Jason has helped me to become bigger and stronger than I ever thought possible. I had found it extremely difficult to gain muscle mass, but Jason seems to be able to push me that extra bit that I needed to get the results I was looking for. Jason has always been very professional in every conceivable way: his knowledge, punctuality, attention to detail, and his ability to develop my weak areas. Jason always keeps up with the latest news in nutrition and supplements, and has always made his program work for me. In a panic over an upcoming trip to Cancun I started training with Jason. Now, 7 weeks later, I am amazed at how quickly the weight, and more importantly, the inches have come off. Jason knows how to focus on those “problem areas” as well as getting the whole body balanced and toned. I feel fit, strong and finally comfortable in my own body. My only complaint is now I have to buy a whole new wardrobe! I’m the kind of woman that needs to be inspired to work out. Don’t get me wrong, I enjoy it, but having someone knowledgeable, fun and who knows how to get me to get the most out of my workout time is what gets me going. That’s why I started training with Jason Kozma. I watched how he trained other men and women at the gym and I knew instantly that his genuine concern for his client’s individual health and fitness needs and his sense of humor was just what I needed in a trainer. Jason gave me personalized advice on nutrition and gave me specific exercises to fit my needs. personally created for me to lean out and stay lean. His workout’s have given my body more definition than I have ever had and I feel so much better about myself. I recently got married and let Jason know that I wanted to achieve the firmest, sexiest body possible for my wedding and honeymoon. After 3 months of consistent training and a low fat healthy diet, he helped me to achieve that goal. I will continue to work out with him because when I do, I know I am in good hands with a total professional.